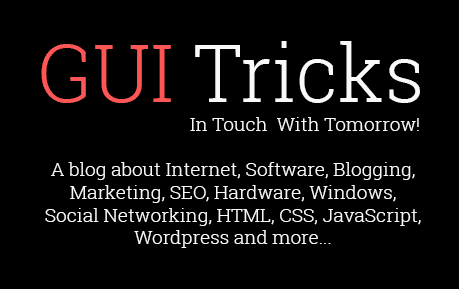 4 Tips To Hire A Proficient PHP Developer | GUI Tricks - In Touch With Tomorrow! 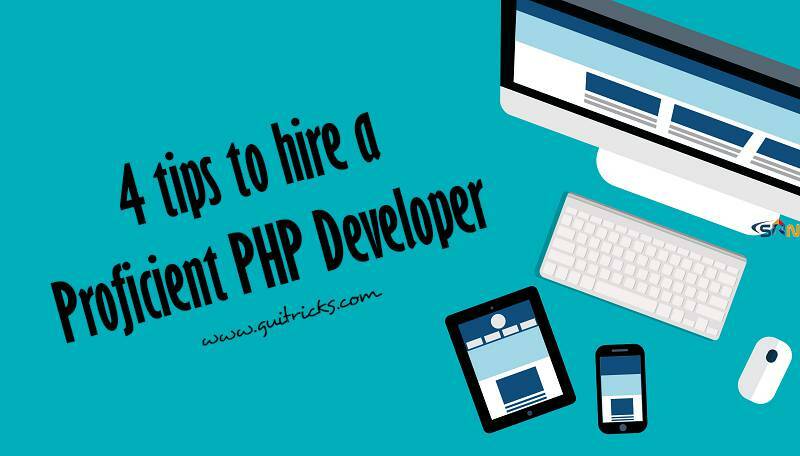 4 Tips To Hire A Proficient PHP Developer - GUI Tricks - In Touch With Tomorrow! PHP is a popular General purpose scripting language, especially suited for Web Development. It is well suited for web development as other lightweight server-side languages like python have been adapted to the web, whereas PHP is web-driven since the start. PHP developers work with websites, applications, using the dynamic scripting language PHP. Hiring a PHP developer is the most tedious and crucial job as the entire success or Failure of the website depends on the PHP Developer. He is the flexible members of the IT team and manages database management, server technology, and operating systems. Also, the easily found on the internet should be avoided. After Technical Enquiry, past experiences and projects of the candidate should be looked upon to know more about the candidate’s technical knowledge and working skills. Though it is important to hire a candidate based on technical knowledge and credentials it is also equally important to hire a candidate that would fit in requirement list. Before hiring the candidate, you must be clear about the candidate you are looking for. You must think before head that you want someone with determination, persistence, curiosity or relaxed about time and deadlines suits your culture. And based on the premade list the candidate must be hired. For this, just paper examination is not sufficient a small research on work background must be done to come to an opinion. Getting a developer that perfectly fits in your requirement list is important because this exact behavior leak into the projects they handle for you and it the candidate is not up to your mark and expectation the project he is working on won’t be satisfactory even. In today's Era it is more important to be flexible and responsive, as there are plenty of resources and creativity available to learn from, plenty of challenges and opportunities to grow from. Things are changing at a greater and faster rate every minute. Therefore, the ability to adapt to surrounding changes is most important. It is important to adapt in order to reinvent and recreate ourselves. With the development of new technologies customers needs are always changing because of this advancement within a small time span a certain skill set can become absolutely useless therefore nowadays it's always better to hire a web developer who can learn new technologies easily rather than hiring someone who knows a specific technology excellently and who is not ready to adapt. The easiest way to identify whether the developer is willing to adapt to the changes is by asking him questions about new inventions, this will reveal whether a Web developer has a love for learning. A willing developer should always keep him updated by reading advancements, attending meet-ups and collecting as much new information as possible. This will help him adapt easily to changes. A PHP developer has the power to transfer your dreams into reality, popular your Online brand in the world and attracts customers in this highly competitive virtual world whereas an ineffective PHP developer can be proven as a setback to the entire team and potentially worsen the entire project. Therefore, it is really important to hire a PHP developer after proper thinking and questioning. Kavya gajjar is a Marketing Manager at AIS Technolabs which is Web design and Development Company, helping global businesses to grow by Cake Php Development Services . 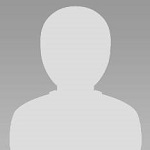 I would love to share thoughts on Social Media Marketing Services and Custom Php Development etc.